You have dreamt about - we make it available by a reasonable offer! Early check-in depending on the availability of free rooms is possible at 6000 HUF / room. All reservations must be guaranteed by paying, 40% of the total amount in advance by credit card. Advance payment - all reservations can be canceled without penalty 7 days prior to arrival. In case of cancellation within one week, the service provider treats the paid advance as a penalty. The cancellation policy will vary depending on the length of stay and the reason for the cancellation. In case of credit card guarantee - if cancellation or modification is made beyond the deadline or in the event of a no-show - 100% of the first night will be charged. Surprise your beloved ones with an unforgettable experience in Sárvár! 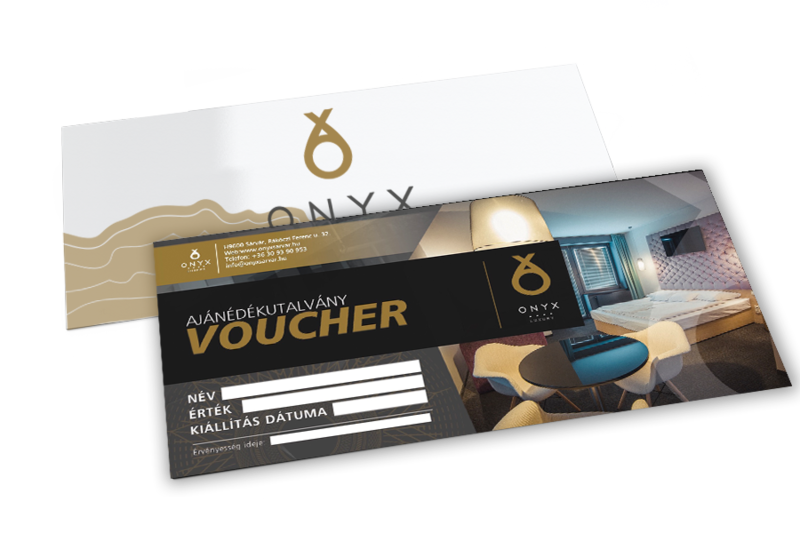 Our services and special packages can be purchased in the form of vouchers, too. Please do not hesitate to contact us with your request. We happily help you to compose a personalized gift.